Do you love to learn? Do you take delight in being entertained? Join the community for our ongoing Enrichment Series. Year round, we host fascinating presentations and special performances that showcase the arts, epicurean delights, horticulture, and other buzzworthy pursuits. Events are held in the comfort of our private Clubhouse. 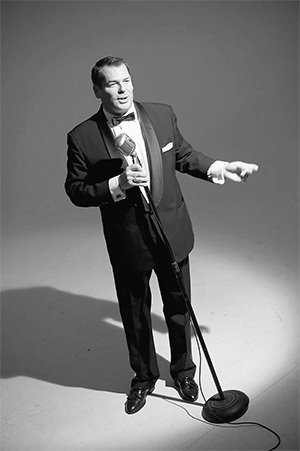 Join us for an evening filled with Jazz His Way, featuring music from one of the area’s top Frank Sinatra impersonators! Talk with our homeowners and tour our beautiful model homes. Sip wine and sample pasture raised, farmstead cheeses produced at Chester County's award-winning Farm at Doe Run. The farm's artisanal cheesemakers Matthew Hettlinger and Samuel Kennedy will discuss the mouthwatering varieties and their ties to sustainable farming. 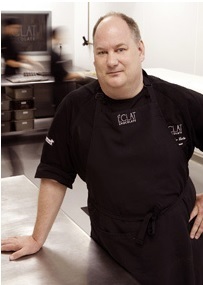 Join us for an incredible evening with Master Chocolatier Christopher Curtin of Éclat Chocolate. Savor a wine tasting paired with unique global chocolates, inspired by Chef Curtin's wanderlust. Then, listen as he shares stories from his exotic travels in search of the world's rarest cacao beans. 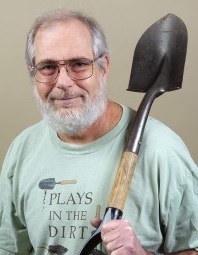 Come along for an entertaining evening with Mike McGrath, host of the nationally syndicated Public Radio show, You Bet Your Garden. In his endearing light-hearted style, Mike will share fresh ideas for container and terrace gardening and will answer all of your greatest horticultural challenges. From Handel to Stairway to Heaven, join us for an energizing evening courtesy of Philadelphia's string quartet that rocks! Esteemed for their artistry and versatility, Avalare Strings promises a captivating, not-to-be-missed performance. Join us as we explore how cultural shifts between the releases of The Sound of Music (1965) to Midnight Cowboy (1969) forever influenced the movie industry. Andrew J. Douglas, Ph.D., Director of Education at the Bryn Mawr Film Institute, will share this fascinating tectonic shift through favorite films like Blow-Up, The Graduate, and Bonnie and Clyde. Enjoy exquisite wine and cheese pairings presented by Vintner Tom Carroll, Jr. of Bucks County's Crossing Vineyards & Winery. Then, take in a fascinating presentation by Paul Eisenhauer, Ph.D., curator of the Wharton Esherick Museum. Learn about the life and work of this incredible wood sculptor, known for his unmatched furniture making skills. Wine paired with dessert follows. Come along for an entertaining journey! Andrew J. Douglas, Ph.D., Director of Education at the Bryn Mawr Film Institute, highlights 40 years of Woody Allen films, from insightful dramas to screwball comedies, including notable films like Annie Hall and Midnight in Paris. Victoria Wyeth, granddaughter of the celebrated painter, returns for an up-close look at the iconic artist's extraordinary work influenced by summers spent in Maine. Offering unique perspectives on Wyeth paintings as well as personal family stories, her engaging presentation is not-to-be-missed! Join us at 7pm for an exploration of China's exotic cuisine with legendary Chef Susanna Foo, who will share tastes from her Radnor restaurant and sign purchased cookbooks. Then at 8pm, experience this vast country's ancient cities, tranquil villages and vibrant culture through a Tauck Tours expert's photos and narrative. Don't miss this Athertyn Enrichment Series event showcasing the culinary talents of Carlo deMarco, Head Chef and Owner of 333 Belrose in Radnor. Voted Best Chef by Main Line Today magazine, Chef deMarco will share his approach to creating innovative American cuisine during his cooking demonstration of a healthy fall dinner spread, from drinks to dessert. Enjoy a glass of wine and samplings of the fresh, seasonal dishes he's prepared. Join us for an evening of wit and wisdom with Actress & Author Tina Sloan, who has enjoyed a 40-year career in TV and film, including 26 years on the acclaimed daytime drama Guiding Light. Co-author and star of her one-woman show, Changing Shoes, Tina will share her personal struggles, courage, and transformation from sizzling screen diva to mature grandmother, through her funny and inspiring stories. Presenter Victoria Wyeth, the granddaughter of the famous painter, will present and discuss many of his well-known works as well as some never before seen by the public. She will also share family stories and perspectives to help us understand what inspired the career of her amazingly talented grandfather. Join Athertyn at Haverford Reserve for "Fashion Rescue," a trunk show featuring acclaimed designer Frank Agostino. The Bryn Mawr-based fashion expert will preview his latest collection, with merchandise available for purchase. A percentage of the event sales will benefit Main Line Animal Rescue, a Chester Springs organization that strives to help find good homes for misplaced and mistreated animals. Take a Trip to Hawaii Without Getting on the Plane. See Behind the Scenes of the Philadelphia Flower Show, where this year's theme is Hawaii. Our guest speaker, Francesca Northrup, Vice-Chair of the Philadelphia Horticultural Society will give us some insight into what it takes to put this magnificent show together. What a great way to welcome Spring! Meet the best selling author and receive a FREE SIGNED COPY of her new book "Best Friends and Occasional Enemies". There will be a reading and a Q&A session.